performer for the popular theater and folk music of South Italy, one of the best known tammorra and tamburello player in Italy. 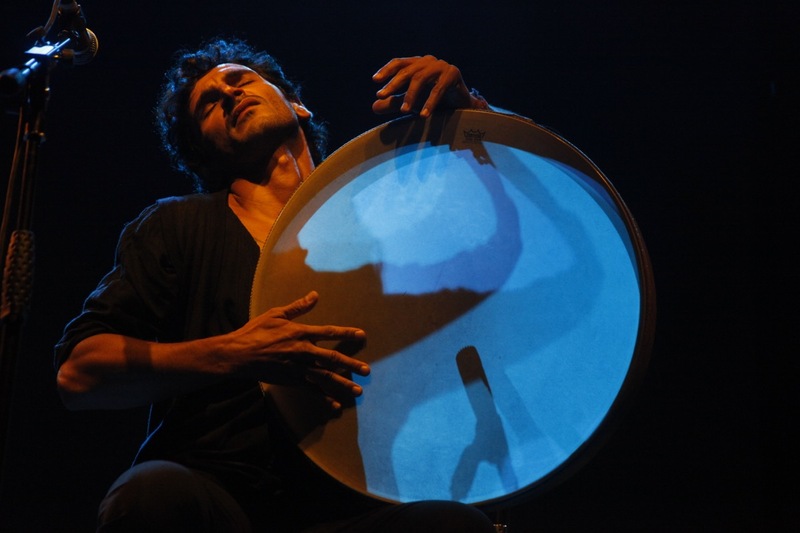 He is specializing in the techniques and styles of frame drums which belong to the Mediterranean. He studied in ethnomusicology at the Department of Music and Performing Arts in Bologna. He has performed in Italian popular music scene and international ethnic music. Festival for the Italian ethnic music “Terre in moto”. He published the book The Raccontaio. In 2009, he received the literary prize “Sergio Manetti” for poetry performative art at the Art Academy of Arezzo. He teaches in various music academies and regularly holds workshops and training on frame drums in special world meeting such as Academy of art in Arezzo and Drumming Holiday in Austria. In 2011 he published the book Tammorra - Italian frame drums distributed worldwide. in Sofia (Bulgaria), Italian Thailand Festival (Bangkok), Drumming Holiday (Austria), and in many prestigious clubs, theaters, auditoriums and Italian television. Except performing, Luca also composes songs. He is the one of the authors of the song Southern Sun and became the soundtrack of the medium film Il Volo directed by Wim Wenders. He recently participated in the documentary by American director Jonathan Demme dedicated to the career of Enzo Avitabile, accompanying with his drums to the legends of the world music.